As far as I can tell, St Paul quoted from the written Gospel of Luke. 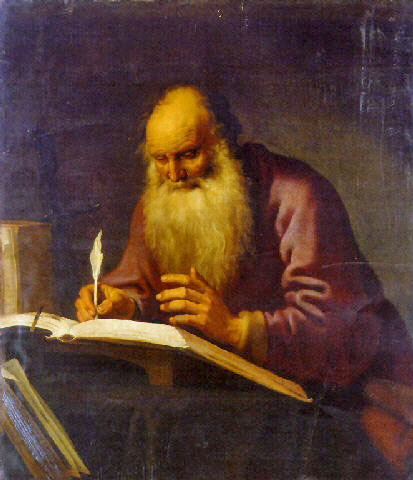 And since St Paul died in AD 67 or thereabouts, the Gospel of Luke must be younger than that. I’ve also reached the conclusion that what “critical scholars” say to overturn this observation is a whole lot of not very much based on even less. AS CHRISTMAS approaches, Christians around the world remember the events leading up to the birth of Jesus in Bethlehem. 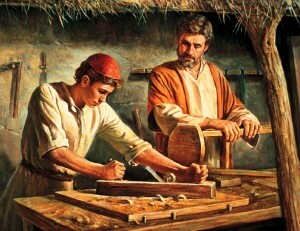 We celebrate many things: Of course, the love of God in Christ, as well as the beauty of the story, the sanctity of the life of the unborn, the faithfulness of all those who faithfully obeyed (what would I have done if I were Joseph? ), and perhaps more things besides these. But Christians are not he only ones preparing for Christmas. In the United States, atheists are spreading the cheer by erecting billboards deriding Christianity as a myth or a fairy tale, and it is one of those times of the year (along with Easter) when proponents of liberal theology or anti-Christian thought seem to get a special pleasure from peddling articles, documentaries (in the loosest sense of the word) and books about the myths Christians allegedly believe. Most of the things we Christians remember are very nice, traditional Christmas story fodder: The visit of an angel to Mary, Joseph’s dream, wise men from the East with their gifts, Shepherds out in the field and the chorus of angels, and the birth of the Saviour in a manger. 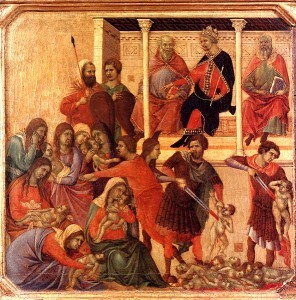 But then there’s the “slaughter of the innocents.” That’s not quite as nice. The event is traditionally remembered on the 28th of December. The wise men told King Herod that they were looking for the king who had just been born. Herod was filled with insecurity and asked them to return to him after they had met this new king and tell him where he could go to meet him also. When the wise men did not return to him, Herod flew into a rage and ordered the death of the male children in Bethlehem under the age of two, to make sure he snuffed out this would-be king. Did the Church conspire to hide the truth about other Gospels that did not make it into the Bible? 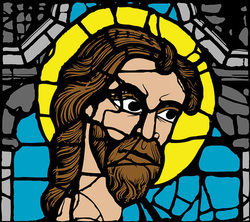 This time I’m discussing the claim that scholars have uncovered Gospels other than Matthew Mark, Luke and John, other Gospels that deserve to stand alongside the four canonical Gospels as having equal historical legitimacy, but which the churchTM has unfairly suppressed in its quest for dominance over the Scripture and what it is permitted to contain. These include the Gospel of Thomas, the Secret Gospel of Mark and others. It’s the middle of the night, but some time in the next few days I’ll edit this post and add the reading list that I promised in this podcast episode. This episode is a sermon/talk that I delivered on Sunday the 27th of July at our church, Grace Bible Church, here in Dunedin, New Zealand. I was asked to preach on Mark 13, the Olivet Discourse. Yes, the whole thing. In one sermon. That meant I had to be pretty simplistic about it, and I couldn’t go into a huge amount of depth. It was an introductory talk to an audience that had never really looked at the issue before (at least, it had never been spoken about in church). So basically, it’s an introduction to Mark 13, and therefore an introduction to preterism.